The varied topography and mixed hardwood and evergreen forest make the 612-acre Linn Run State Park a scenic place for picnicking, hiking, and cabin rentals. Grove and Rock runs join to make Linn Run, an excellent trout stream. A lovely waterfall, Adam Falls, is a scenic spot nearby the picnic area. 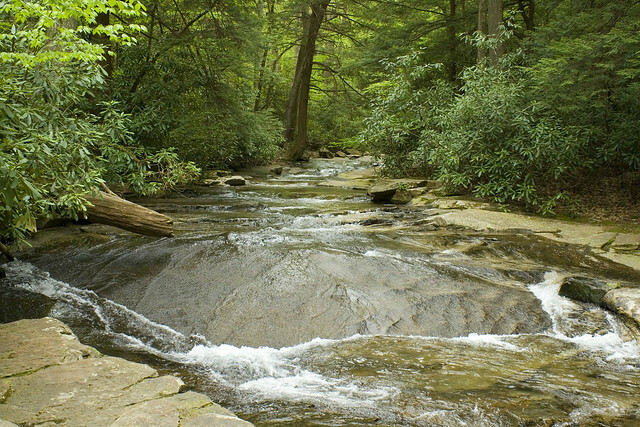 Forbes State Forest borders Linn Run State Park and offers 50,000 acres of land for outdoor recreation. To reach the park from Ligonier, take US 30 east for two miles. At the intersection of PA 381, turn south for two miles. At the small town of Rector, turn left onto Linn Run Road.